You all ROCK for making our 3rd annual Curling FUNspiel such a great success. Our thanks to all who curled, donated, sponsored a curler, we raised over $6,000 for our Transportation fund. Join us each year for a fun filled day at the Orangeville Curling Club. We are looking for 64 curlers, (beginners are most welcome), to help us fund raise while enjoying one of Canada’s iconic winter sports. Registration fee is $50.00 per curler, teams of four $200.00. A light breakfast and a hearty lunch will keep you energized as you enjoy two games and a skills competition. There will be door prizes, prizes for winning teams, raffle prizes and a silent auction. Therefore we must fund raise to ensure that the people we support have their transportation needs for medical appointments, employment and volunteer positions, and leisure trips met. All of the profits from our curling FUNspiels are directed to our transportation requirements. Stay tuned for our 2020 date. Want to curl with us, see below for Registration and Sponsor forms. Registration is $50.00 and we encourage you to collect donations from family/friends. There are prizes for the curler who brings in the most sponsorship money. 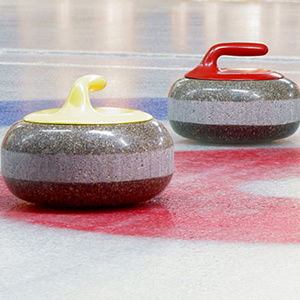 Want to sponsor one of our curlers or make a donation to our Transportation fund? Click here to donate via our PayPal account, if sponsoring a curler ensure you add the curlers name to the “special notes” section.